Russia. St. Petersburg. 1 November 2015. The participants of party dedicated to the celebration of Halloween in the park named after Grandma. 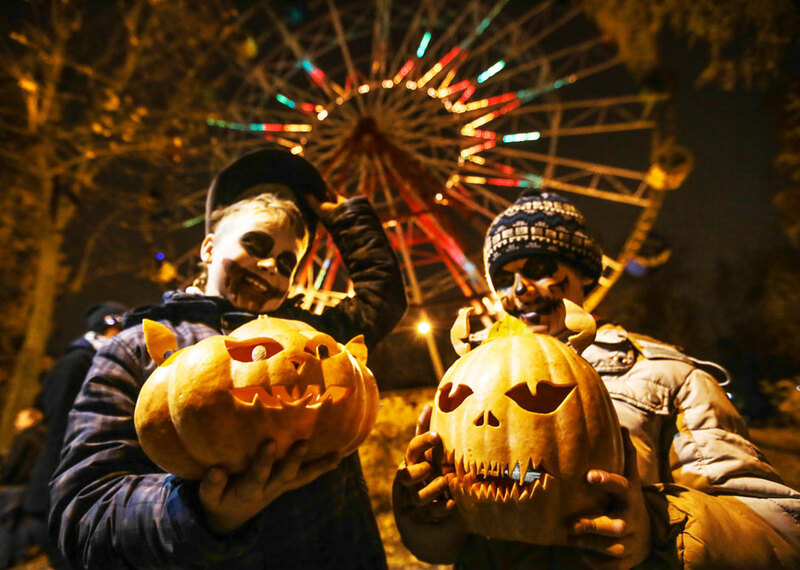 Dua orang peserta pesta Halloween di Sankt Peterburg, Rusia, 1 November 2015.